I've always had a magazine collection and have been very excited to add Kinfolk and Anthology to my heaping piles over the past few years. Their contents are beautifully written, their layouts are simple and sleek and their artwork stunning. They are both printed on gorgeous matte paper stocks and are the perfect way to get me to unwind away from my computer. 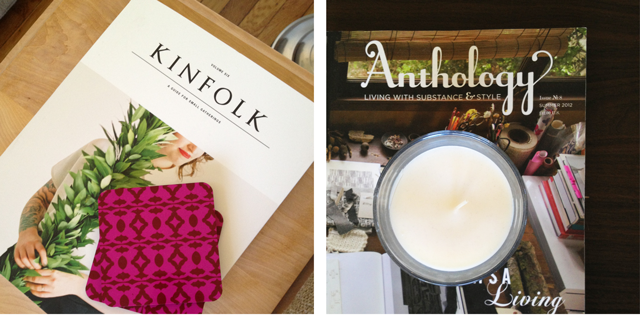 Learn more about Kinfolk here and Anthology here.